Not many societies can say that they are almost two hundred years old. The Zoological Society of London (ZSL) is one of them. It was founded in London in 1826 by a group of people who wanted to help take care of and study about the planet’s precious wildlife. The founders of the ZSL wanted to create a place with animals for both the public to enjoy and for scientists to study. Its first zoo was called the London Zoological Gardens. It opened in 1828 with antelopes, orangutans, and even some animals that are now extinct. People were excited to see the strange animals they had never seen before. Many of the first animals in that zoo were actually from the Tower of London. The Tower of London was where the King and Queen of England once lived. They kept many types of animals at the tower. In 1831, all the animals at the tower were sent to the London Zoological Gardens. Today, the London Zoological Gardens is just a short bus ride from the London city centre. It is a zoo of many firsts. As the first scientific zoo in the country, it is also home to the first reptile house, the first public aquarium, the first insect house, and the first children’s zoo. 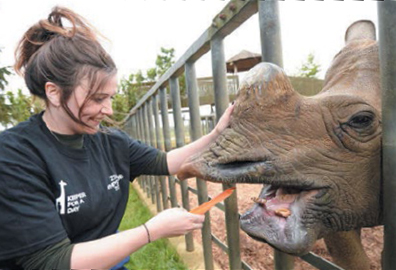 You can book a “meet the animals experience” where you can pretend to be a zookeeper. You can see some animals up close and feed them. The meerkats are popular with children. They are funny and cute. As the number of animals in the zoo grew, more space was needed to house them safely. A large farm was found near Whipsnade village outside London. This farm was converted into a zoo and safari park in 1926 and was named the ZSL Whipsnade Zoo. Many of the bigger animals which needed more space to roam were moved there.